Arab youth is a demographic to be respected and reckoned with, as they represent one of the world’s fastest growing segments and are driving demand for local, targeted digital media. 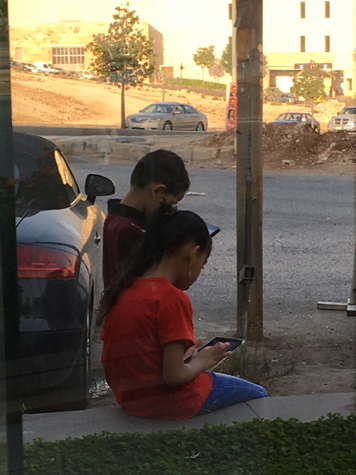 The picture of a street corner in Amman is a normal phenomenon replicated all across the region: young Arabs on their mobile devices consuming digital media. Digital media is defined as audiovisual media content and applications that are distributed directly over the Internet. This includes downloadable or streamed video and music, games, and the written word via ebooks, e-magazines or news websites. It offers the ability to manage successful advertising campaigns by gathering and tracking precise performance information, such as who it targeted, who watched, for how long, how many commented on it, did people react to it, etc. This data management and tracking holds valuable insights about the nature of the content, the users and their habits, and helps determine future media and marketing strategies. As startups begin to address the gaps in content creation and as consumption of digital media increases, how can they capitalize on the opportunities it offers and how do they unlock the inherent potential and adapt it to the region? 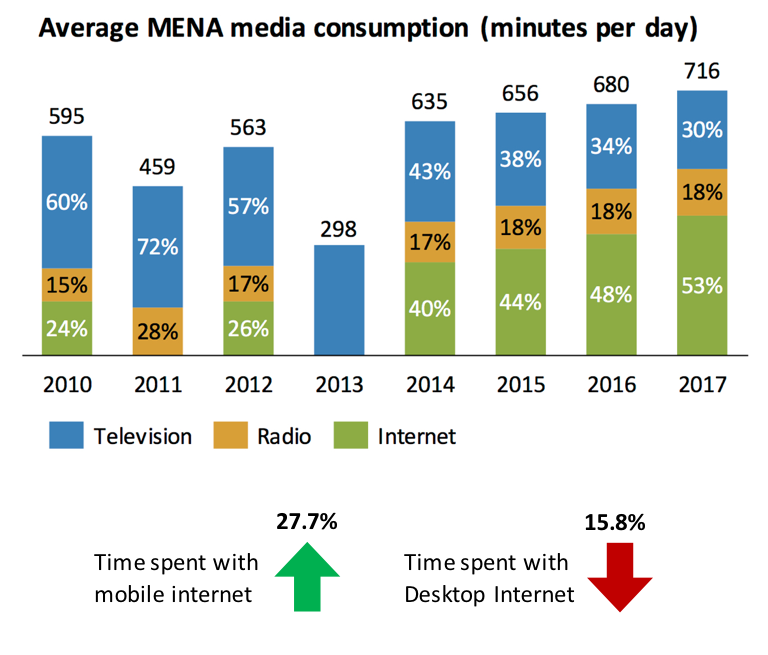 Changing media consumption in MENA over the past two decades has been driven by the proliferation of mobile devices, higher bandwidth availability, and the youth demographic. More than half of MENA’s population is below the age of 25. Of these, five out of six young Arabs are daily Internet users, three quarters own a smartphone, and nine out of ten use social media, according to the 2015 Arab Youth Survey. These demographic trends present a significant opportunity in digital Arabic content (DAC). Content has not kept up with demand as Arabic language users outpace English, French and Chinese to become the fourth most popular language on the web. Younger generations are demanding locally produced and relevant DAC, rather than localized international content. With respect to video, the fastest growing segment is short form (under 10 minutes in length) amateur content curated by Arab youth. 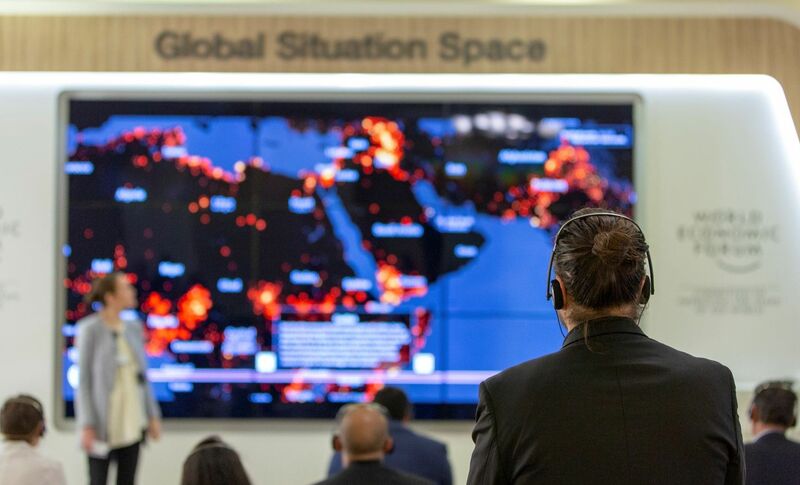 The MENA region is second in the world in terms of video views a day at over 310 million, ranking it behind only the United States and ahead of Brazil. Finally, digital media consumption is shifting to smartphones. Already, consumers are more likely to play games, access video and social networks on a mobile device rather than a laptop or desktop. 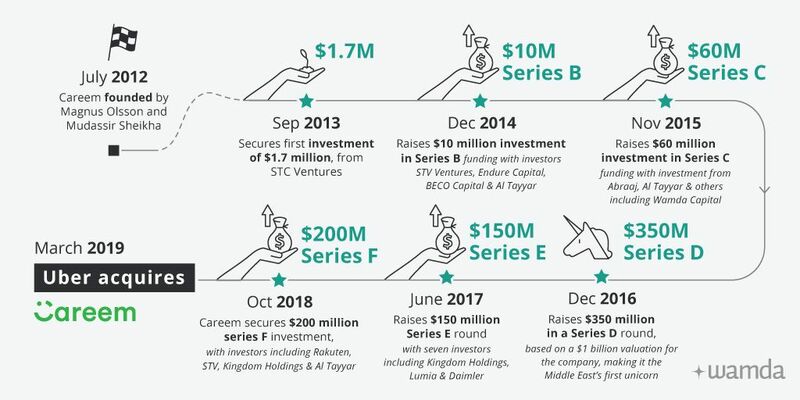 Regional startups, such as Vinelab in Lebanon and Wepress in the UAE, are therefore innovating and redefining how the content industry works, as consumers expect access to virtually any content on any device, at any time. Tamatem, for example, surveys what vehicles their audience would like to drive in their mobile games, and incorporates them when developing their driving games. They do the same for the type of music they prefer for the game soundtrack. This intimate interaction between regional game developers and their audience is revolutionary. Media companies are realizing that by digitizing and managing their videos, photos, advertising campaigns, they can gain greater insights into their reach, popularity, allow for simpler creation and collaboration, enable more diverse distribution, and in doing so have a positive impact on their revenues. Just a handful of MENA's digital media players. There is a growing supply of MENA-oriented free content and limited willingness to pay, due to issues like low credit card penetration and high poverty rates. There are generally five ways to monetize content. 1) Freemium model: This is where content is made available for free. It’s usually ad-supported with the option to upgrade to premium content. The two distinct revenue streams are ads and membership. The benefits of this model is that it offers ongoing and high traffic because of the free content, with the option for consumers to add additional value if they wish. 2) Subscription model: Premium content made available for a monthly, quarterly, or annual fee. While it may decrease traffic slightly, enticing consumers to pay upfront can be highly successful especially when implemented by companies that have built a solid reputation. 4) Paid content service model: Consumers have the option to pay for additional services as wanted and needed. This is where new content experiences are sold separately from the core product and revenue tends to be incremental, such as basic services plus paid add-ons offering enhanced experiences. 5) Sponsored content: Content distributed at scale on various platforms. It’s intended to drive meaningful value for brands and advertisers who are looking to engage audiences in creative ways. Content providers need to maintain a high quality of work and be able to carefully balance the editorial messaging and strategy without turning consumers off by making the content look like an ad. These are not the only monetization models, as new revenue opportunities continue to emerge. While monetization models in the region are still evolving, consumers are becoming more willing to pay for content. 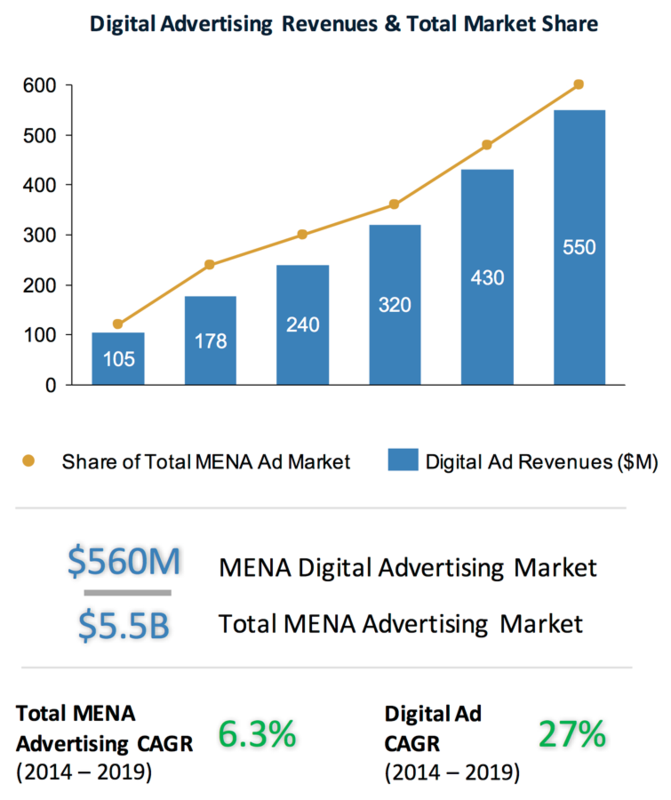 Digital advertising revenues in the MENA region are expected to increase with a CAGR of 27 percent with mobile advertising revenues growing 534 percent by 2017. The Arab Media Outlook: Youth, content, digital media report showed that there was noticeable growth in the paid media sector compared to the advertising sector. The report saw spending on advertising as set to increase by 2.5 percent annually between 2016-2018, and spending on paid media to grow by 3.7 percent during the same period backed by video games and paid TV subscriptions. 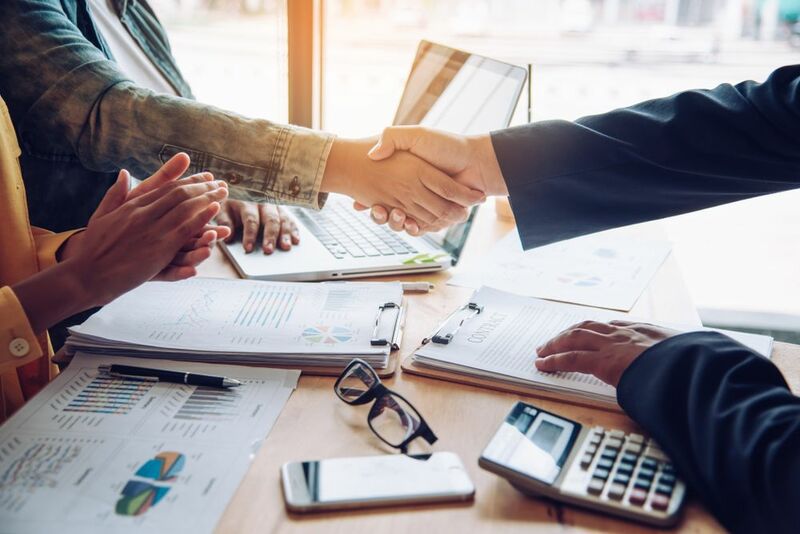 As advertisers, brands and media agencies shift their budgets toward digital media marketing, it’s time for startups to deliver to their clients the benefits of data driven lead generation, and meaningful user engagement case studies. One example of a digital media company convincing people to pay is Wamda Capital’s most recent investment, Kharabeesh, which has positioned itself to create edgy and engaging interactive media to fit the demands of the ever-more voracious MENA consumer. Kharabeesh produces, manages and promotes Arab talent across Youtube, Facebook, Instagram and Snapchat using alternative advertising and monetization schemes. And it’s deploying a scalable, integrated platform for content creators, businesses and technologies that allow real time reporting on metrics such as views and interactions, and allow both advertisers and content creators to upload their own media. New business models will continue to emerge in MENA to maintain digital media companies as they strive to manage content, enable consistent and streamlined distribution and optimize monetization. 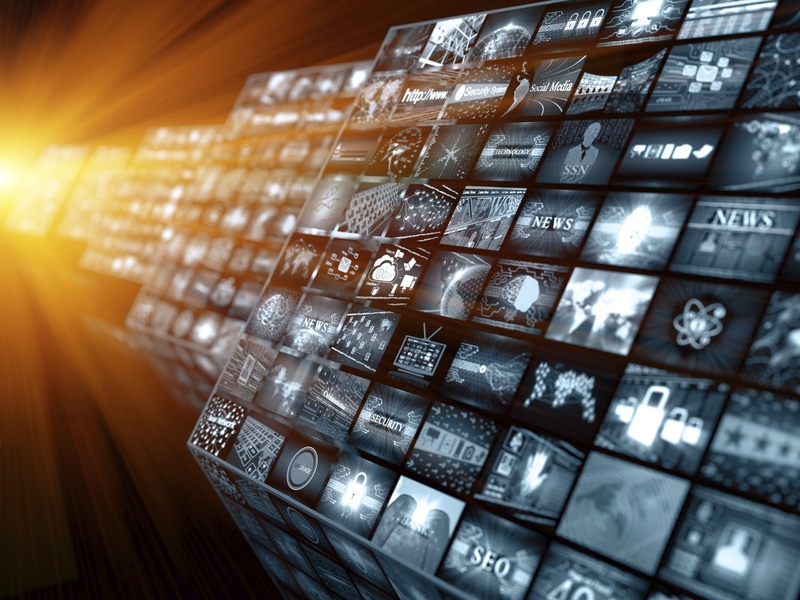 Technology and analytic solutions will be the cornerstone of this evolution as the digital media industry adapts to its challenges and opportunities. Feature image via Second Watch.